Skegness Town open their series of pre-season friendlies when they entertain Sheffield side Jubilee Sports at Wainfleet Road on Saturday (KO 2pm). The Lilywhites will entertain the Sheffield and Hallam County Senior League side on the 3G surface at their new home, as excitement mounts about their move. The neighbouring grass pitch has had its first cut and hopes are high that the playing surface will be available for the start of the Balcan Lighting Supplies Lincolnshire League season. Town entertain regular visitors to the coast Radford FC from the East Midlands Counties League on July 23 (3pm), followed seven days later by the visit of Clifton. On August 6 the Lilywhites entertain Wadsley Bridge on the 3G pitch (KO 2pm). 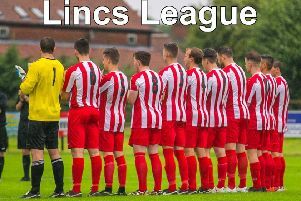 Skegness Town Reserves will prepare for their season in the Boston League with a trip to Old Leake on the evening of Wednesday August 3, while seven days later they travel to Horncastle Town Reserves (both 7pm). On Saturday Skegness United will begin their warm-up matches against Old Leake (KO 2.30pm).